These days, it seems like runner games are a dime a dozen. I guess it is more like they are about $20 a dozen since they are usually between one and three dollars a piece. There are so many auto-run till you die games that it is difficult to know which are the best. 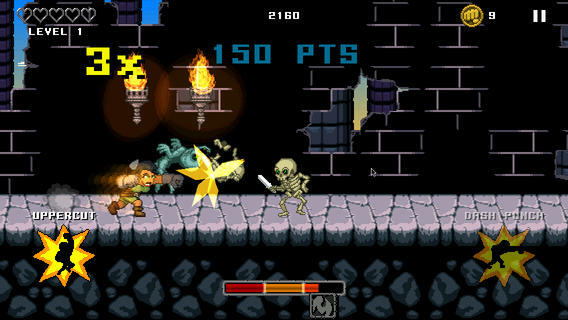 This is a vertical endless jumper that also includes a bit of hacking and slashing. 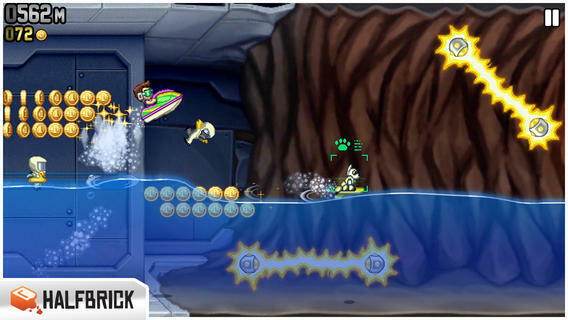 Players hop on a rocket ship that shoots them high into the air. To keep the momentum going, slash enemies as they fly by. The act of crushing your enemy to bits will send you further into the air. This game is available for $0.99. This gentlemanly runner is dressed to the nines, but doesn’t break a sweat as he runs down narrow passageways, hops over steam pipes, and dodges bullets on his way to saving the world. Pull out a pistol and do some bullet shooting of your own. 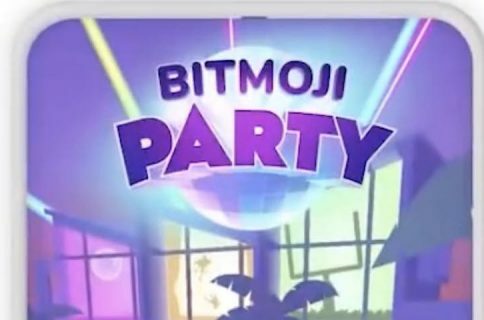 This game is available for free. In a side-scrolling platform-style way, this endless flyer has you zooming through low-atmosphere, collecting coins, avoiding lasers, and changing your outfit to match your mood. Upgrade your jetpack and add special bonus features to really make your ride a joy. This game is available for free. 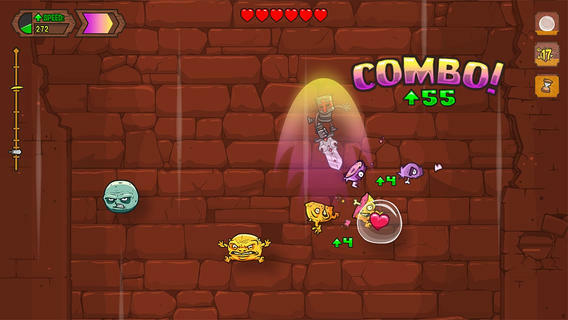 When I first played this game, I came very close to throwing my iPhone in the toilet out of frustration. I never did get very far, but the game is fun for its challenge. Players control a ball as it rolls down a windy track. The track has no rails and you must try to balance as you roll. 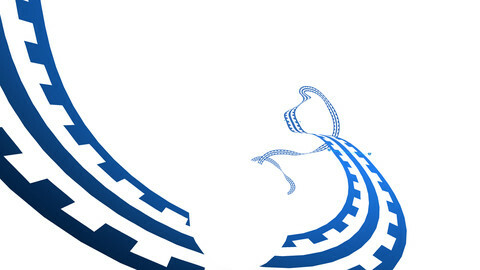 If you fall, you can still get back on track by aiming your landing onto a track below. This game is available for $1.99. 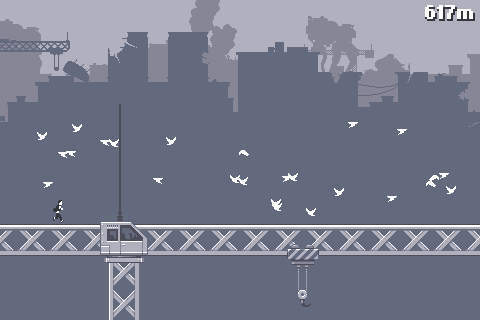 One of the earliest pixelated games to get recognition in the App Store was Canabalt. This simplistic endless runner game looks good in black-and-white and features a soundtrack that merits its own listening time. Even though pixel design is all the rage on iOS these days, Canabalt still holds its own against other runner games. This game is available for $2.99. 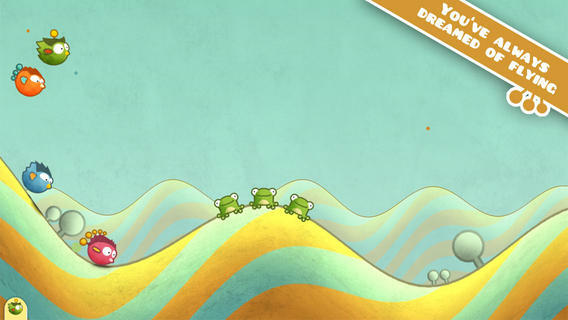 If you want a little more variety in where your runner goes, this game features hills and slopes to make running and jumping a joy to experience. Your flightless bird just wants to get airborne. The best he can do is to take a running jump off of a very high hilltop. Stay ahead of nightfall or your wings will get clipped. This game is available for $0.99. Halloween isn’t too far away. Why not celebrate with a monster of an endless runner? This game features a blood-sucking vampire who just wants to get home to his comfy crypt before the sun comes up. 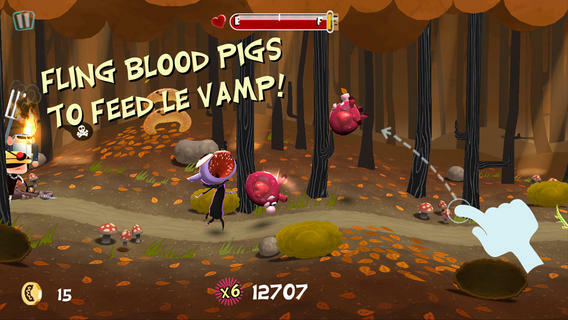 Help keep Le Vamp safe from mobs of angry citizens as you run, jump, and dodge your way back to the cemetery. This game is available for $0.99. This endless flyer game was designed for comic book nerds. 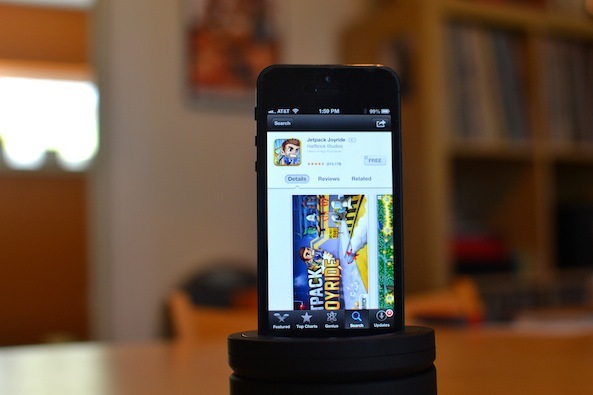 It features voice talent by the father of Spiderman, Stan Lee. Lee also had a major part in the creation of the vertical flyer. 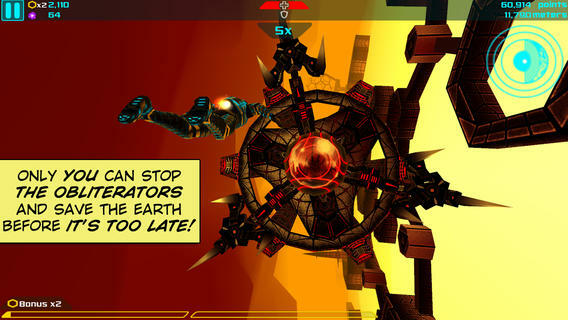 Race against time to save the universe as you fly deep into the core of the Earth and stop the world’s destruction. This game is available for free. You know what I like to do? Punch things. Not because I’m angry. I just think it’s fun. Unfortunately, the person on the receiving end of my fun doesn’t seem to like it as much. This endless puncher lets you shove your giant fist into the face of oncoming enemies as you fight your way through a side-scrolling dungeons and desolate landscapes. This game is available for free. 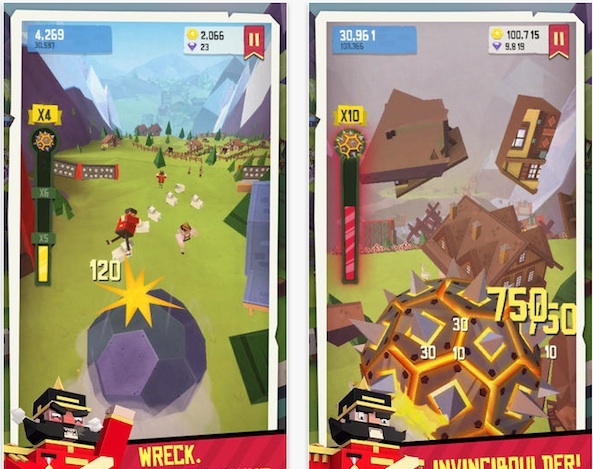 One of the App Store’s newest runner games involves a big rock that rolls downhill, smashing everything in its path. The papercraft people run for their lives as the bouncing boulder crushes everything in its path. If you are good, not even the little cows will be able to escape the destruction. This game is available for free. 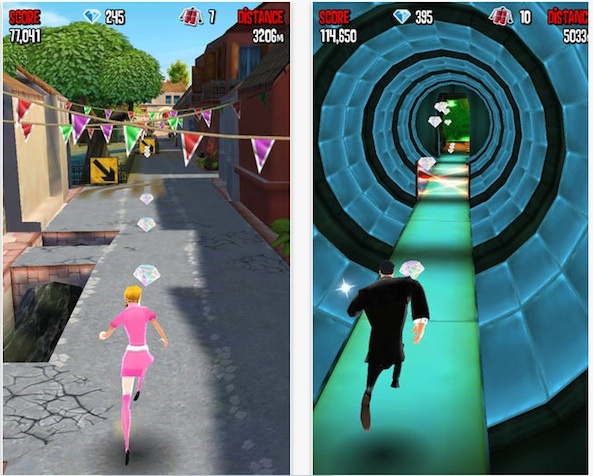 What is your favorite endless runner game? 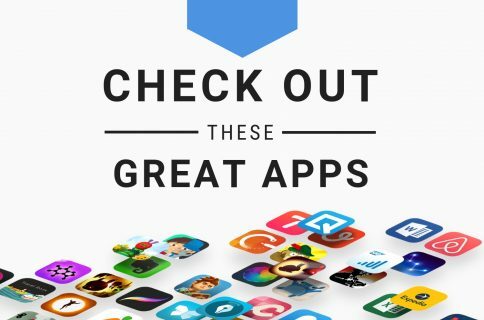 Are there any that we didn’t mention that you think should be on this list?